The Great Dane is truly a great dog. 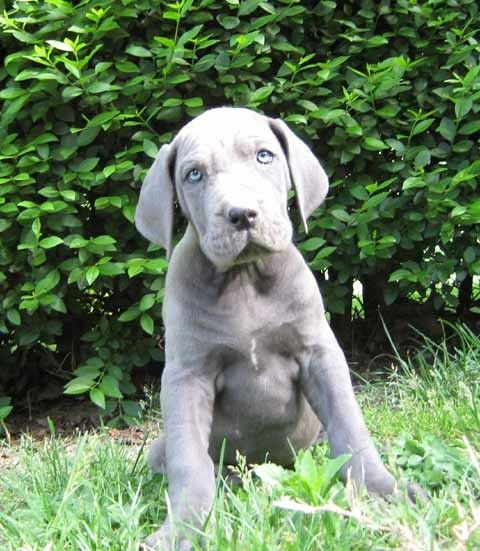 Often called the king of dogs, the Great Dane's massive stature and noble personality makes it a royal breed. They are very large, standing between 27 and 29 inches and weighing up to 200 pounds. 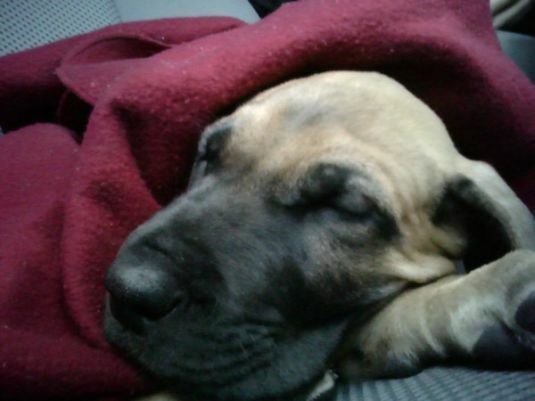 Great Danes, much like kings, are stubborn and difficult to train. However, they are very loyal and gentle, making them a great member of any family that can provide them with the space and food that they need. 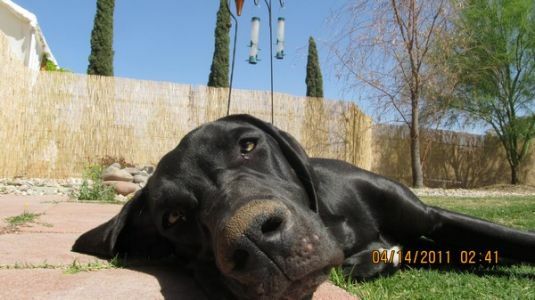 Visit DogBreeds.net to learn more about the Great Dane. He is gonna big like his daddy. He is the cutest pup ever.